"Funny for Them, Easy for You. Leave it to me, Chris P Tee." 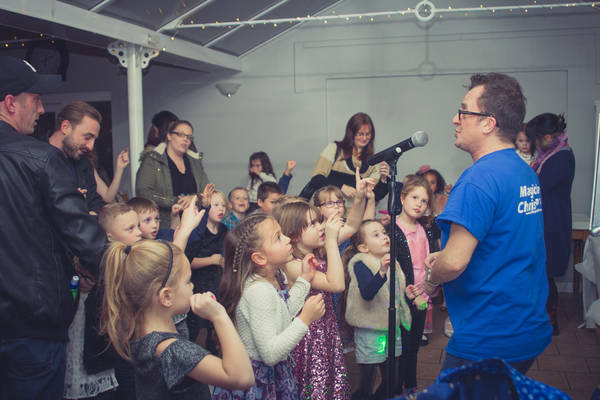 Hello, I'm Chris P Tee and your children and friends will be entertained, amused and organised with my Stress Free, Magic Mini Disco Party. ​Giving you the best professional entertainment and customer service around. The Stress Free Party takes away the worry of "What to Do" with all these kid's! 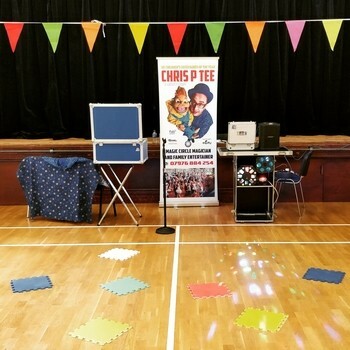 "Chris P Tee entertains everyone with The Stress Free, Magic Mini Disco Party that's full of Fun and Amazement. The Stress Free Party is ideal for busy families who have lots to do at the weekend and don't want to be stuck in a kitchen on their child's special day"
Now Let me know the Date and Your Postcode. I'll check my diary and get back to you right away. "Minimum Set Up, Maximum Fun"
Chris P Tee offers a Unique and Exclusive Party Package for Busy Parents, Who want the Best Children's Birthday Party Without the Stress. Contact Chris P Tee Now for Availability. and the Party is memorable for all the right reasons. Leave it To ME, Chris P Tee. You bring the food and I bring the fun. * Personal Service that is beyond compere. Leave it to me, Chris P Tee. The Stress Free Party is perfect for all ages as people are so busy, they don't always have time to spare to come to parties. and see what all the parents say about me and not just on Netmums. The stress free party is one to remember for all the right reasons. I'm here to Help You. Your Child becomes the Magician's Apprentice and perform Magical Tricks they didn't know they could do. This is a wonderful Show of Family Fun and Entertainment that Children enjoy watching and joining in, with their Parents. Chris P Tee entertains all the children from the second they walk in the door until it's time to leave. As your guests arrive, they are entertained from the start. Everyone, parents included have had a really fun time that is memorable and doesn't take up most of their day, when they had plans for the weekend. Most importantly, your child has had a memorable experience with their friends. Also, if you do want to feed everyone, no problem, let me entertain everyone for the first half, then it's time for food and cake, then it's time for the magic show.